Unthunk is an identifier for Trevor Tunnacliffe’s musical endeavours. Stylistically, the music ranges between chamber and pop, and includes a mix of vocal and instrumental pieces. We have a fondness for polyphony – the weaving together of independent parts to create a cohesive whole. One of most satisfactory steps in the process is handing over the piece to other musicians to enhance the individual character of each part and animating the interactions among them. If you are a musician interested in bringing Unthunk material to life, get in touch. 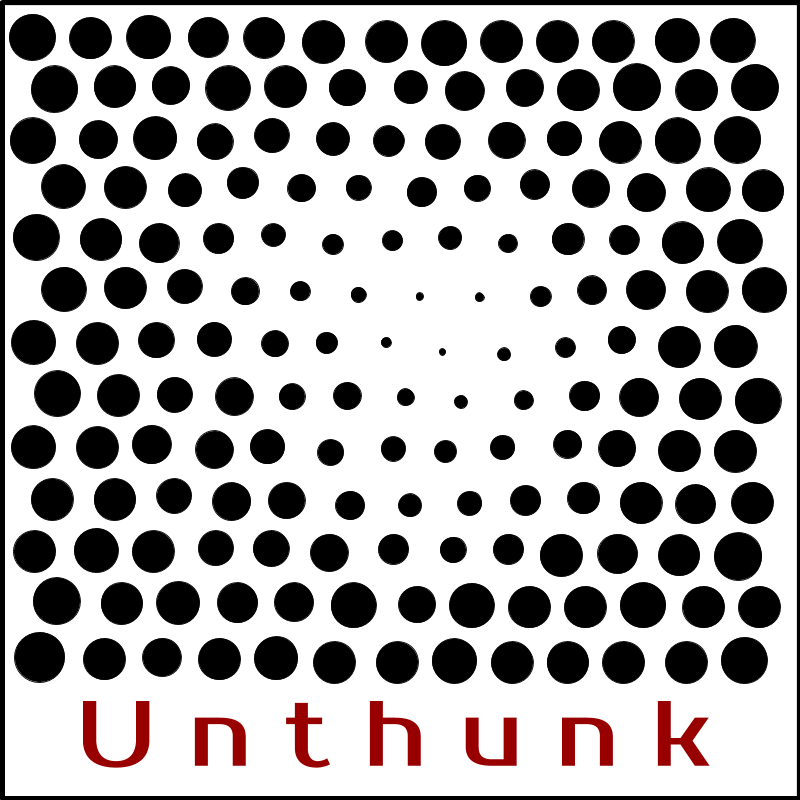 Unthunk music is released on the Happy Puppy Records netlabel.